My husband and I both love Breakout Kings and it has quickly become one of our favorite shows to watch on television! We watched the Breakout Kings Season Premiere earlier this week, such a sad ending. There’s no escape when “BREAKOUT KINGS,” comes to DVD on March 13 from Twentieth Century Fox Home Entertainment. Don’t miss the chance to catch up on the gripping suspense, meet the provocative characters and experience the non-stop action that helped “BREAKOUT KINGS” Season 1, post record ratings for an original drama series on A&E. Now renewed for its second season, “BREAKOUT KINGS” follows some unconventional partners working to catch convicts on the run. Driven by the fact that there are few things more dangerous than a prisoner who has just escaped and tired of following protocol, veteran U.S. Marshals Charlie DuChamp (Laz Alonso) and Ray Zancanelli (Domenick Lombardozzi) are taking an unorthodox approach to their work: using former fugitives to catch fugitives. If they agree to help, the fugitives’ sentences will be reduced for each escaped convict they bring in. However, if any of them should try to escape themselves their sentences will be doubled. Will the “BREAKOUT KINGS” wait for their freedom, or will they go on the run themselves? “BREAKOUT KINGS” Season 1 is loaded with exclusive special features including deleted and extended scenes and several must see featurettes including Good Cons, Bad Cons, Bullpin Sessions, and spotlight on Prison Break cross-over character T:Bag Dealt a Bad Hand. 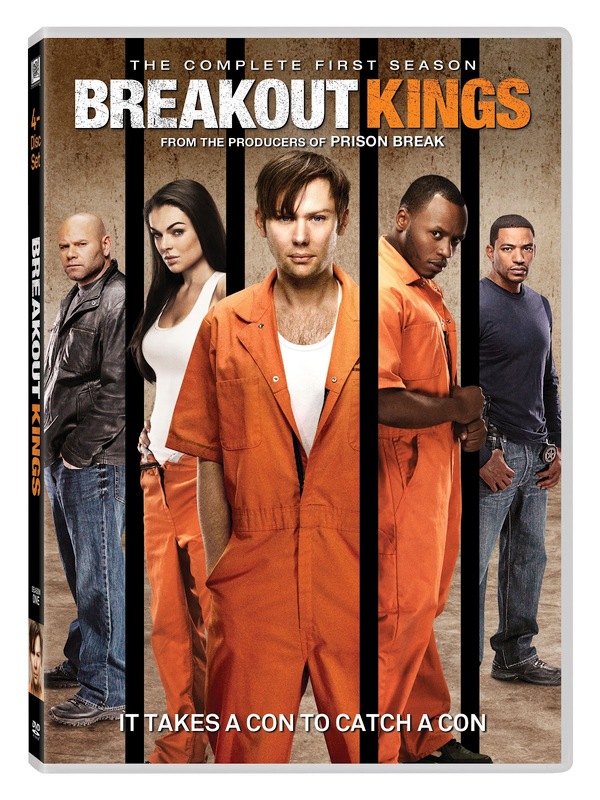 “BREAKOUT KINGS” also stars Jimmi Simpson (“It’s Always Sunny in Philadelphia,” “My Name is Earl”); Malcolm Goodwin (“Raising the Bar,” “Hack,”); Serinda Swan (“Supernatural,” “Smallville”); and Brooke Nevin (“The 4400,” “Worst Week”). “BREAKOUT KINGS” comes from Matt Olmstead and Nick Santora, writers and producers of the hit series “Prison Break.” “BREAKOUT KINGS” is produced by Fox Television Studios for A&E Network. Dr. Lloyd Lowery has degrees from which Ivy League university? "It Takes a Con to Catch a Con"